To facilitate the customers’ search for accommodation, thuathienhuenews.vn would recommend top 3-star hotels with best quality service located near the perfume River. Hue is a land that attracts tourists not only by the beauty of ancient works, but also by the wonderful beauty of the Pefume River, Ngu Mountain and Trang Tien Bridge. Upon arrival, travelers will always want to find the best resorts for themselves and perhaps, they will not want to miss the open, quiet space beside the sweet Perfume River. 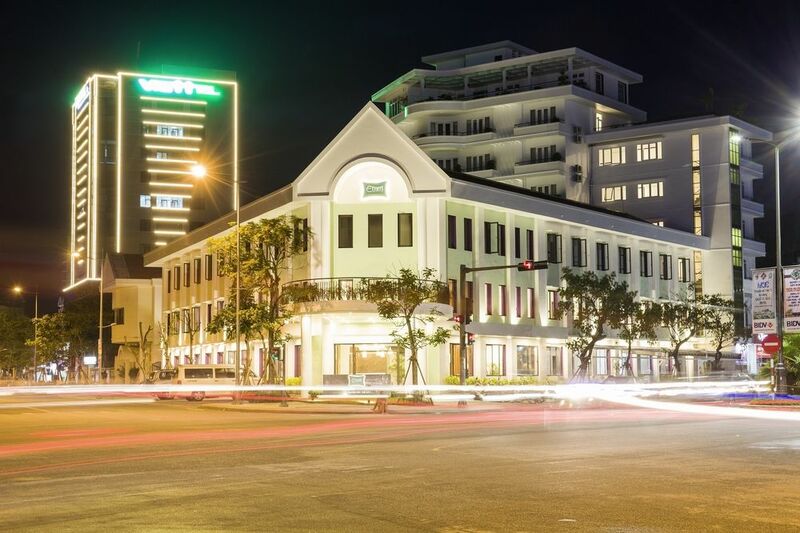 To facilitate the customers’ search for accommodation, thuathienhuenews.vn would recommend top 3-star hotels with best quality service located near the Perfume River. Êmm hotel is a combination between modern style and traditional features of Hue imperial city. This resort is 20 minutes drive from Phu Bai Airport, and from here it is easy to access famous tourist attractions such as Trang Tien Bridge, Hue Citadel, Dong Ba market. Located in the heart of the historical city of Hue, Alba Spa Hotel is a tranquil sanctuary for the mind, body and soul. Alba Spa Hotel prides itself on the unique spa hotel concept, placing water and its health benefits at the core of its philosophy. With its state-of-the-art facilities and a team of caring and dedicated staff, Alba Spa Hotel strives to provide travelers and locals with beneficial and long-lasting experience. The hotel is about 1km away from Trang Tien Bridge, the Notre Dame Cathedral and An Dinh Palace, and around 12km from Phu Bai airport. 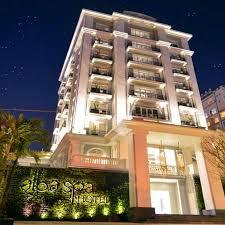 From Alba Spa hotel, it is easy to approach famous places of interest in Hue. 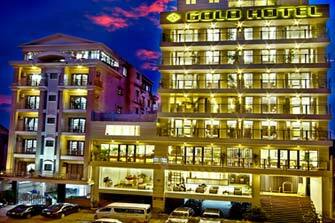 Gold hotel Hue is a large-scale hotel, located near the Perfume river. With the best service, it attracted a huge number of travelers each year. Besides its high-quality accommodation, coming to Gold hotel, tourists will experience traditional meals with the professional, meticulous service. From this hotel, travelers can walk to Trang Tien Bridge, Dong Ba market. Furthermore, it is 20 minutes away from Thien Mu Pagoda, and 10 minutes from Hue Citadel. Shopping malls are also around the hotel premises.